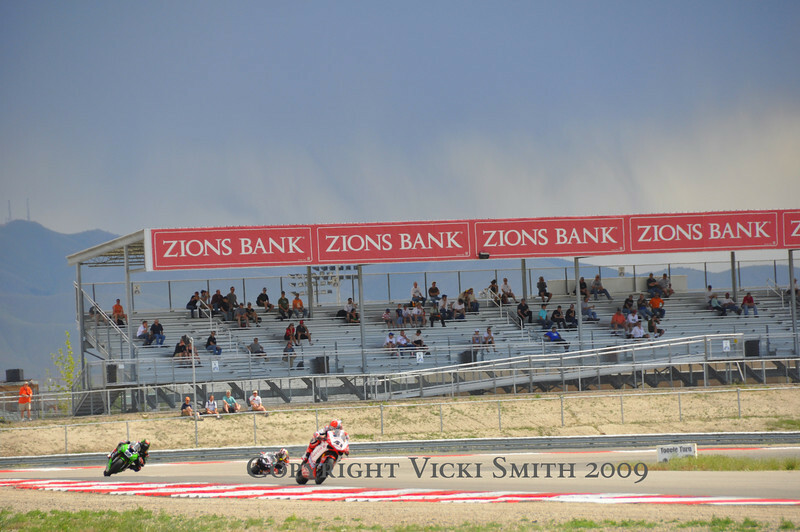 Miller Motorsports Park goes International - The World Superbike Series arrives in the USA and Ducati Island is ready and waiting. The day ended with rain, usually held back by the mountains that ring the track, we watched as it broke out and made it's way for miles and miles. In a place where you can see forever, there is no element of "weather surprise"